We've all done it. We've all badgered someone else for doing it. 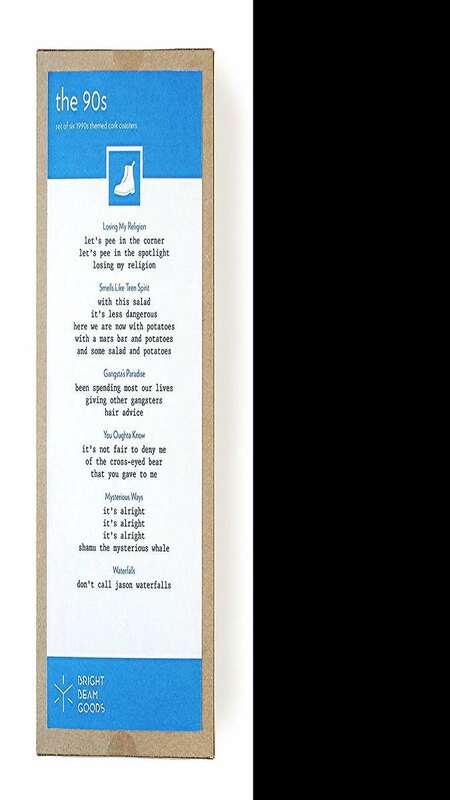 And really, song lyrics misheard, mistaken, and butchered are almost always more fun than what the artists are actually singing anyway. Whoa, whoa, whoa! What did you just say? A hundred men on Mars? Is that what you think he says? Well, I...well...what the Africa is he saying then? Bright Beam Goods has gathered up some of the most common, and most hilarious, mistaken lyrics and laser-engraved them on 4" square cork coasters. 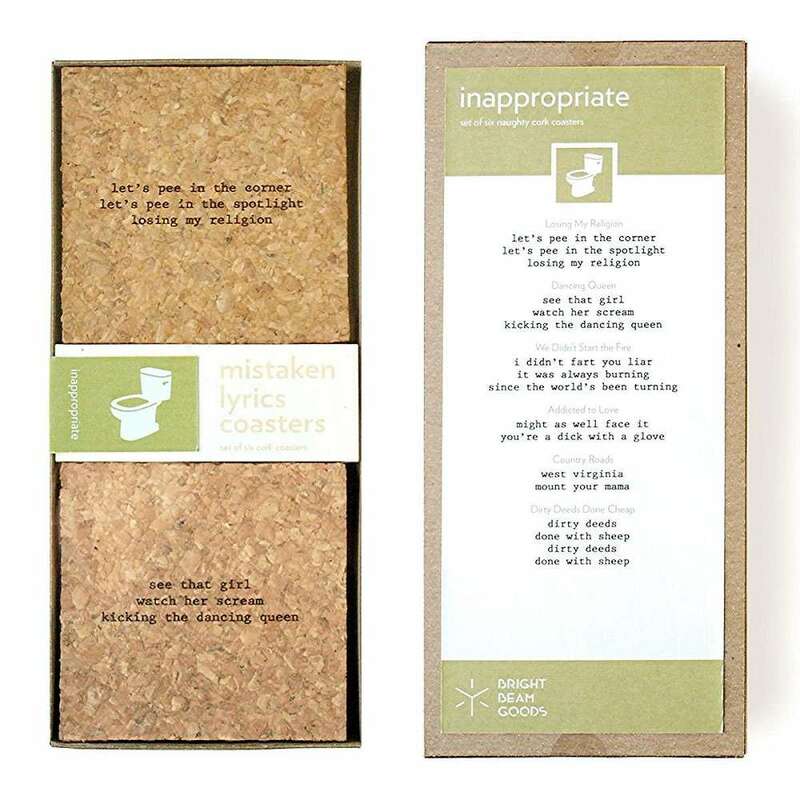 Mistaken Lyrics Coasters come in sets of 6, and are categorized by era, theme, or your own custom selections. 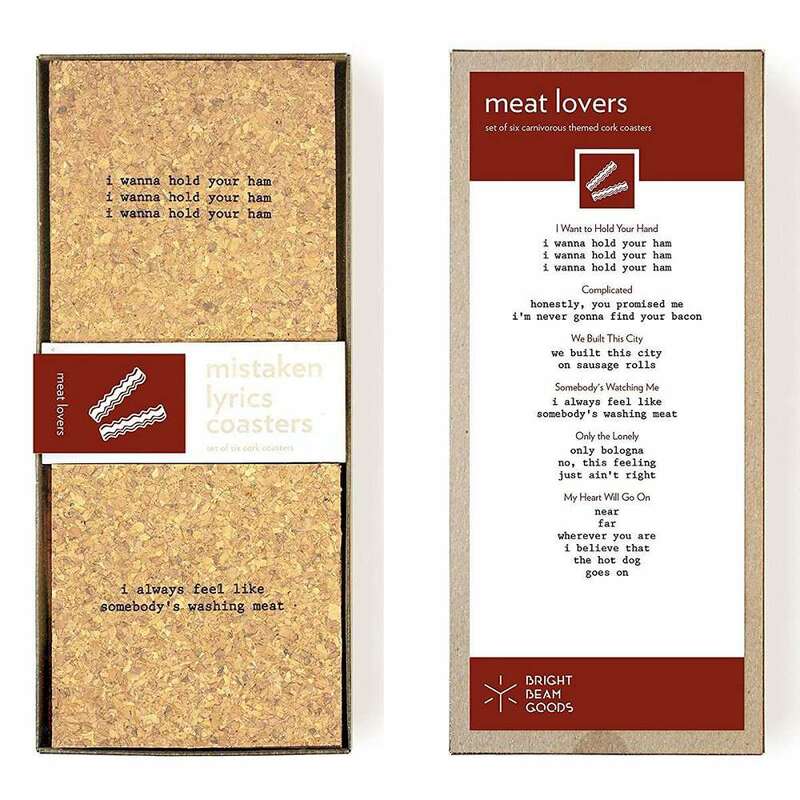 Classic Rock, 80s, 90s, 2000s, Hip Hop, Inappropriate, and even a Meat Lover's pack feature one mistaken lyric on each coaster. 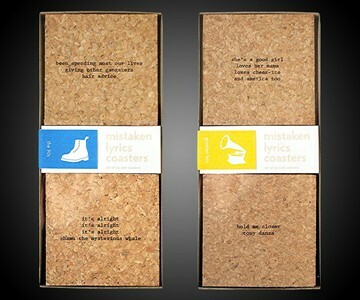 It will be up to your guests to figure out which song it's from though. That information is included only in a key on the back of the set's box. 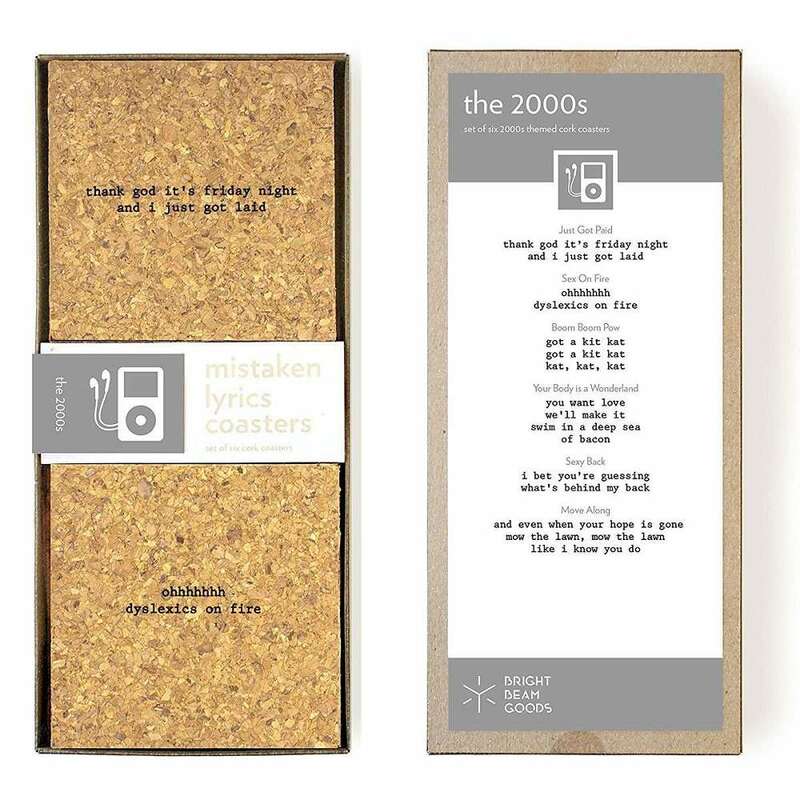 For those who don't want to be pinned to a generation or topic, Bright Beam Goods also offers a Mix Tape set, for which you can pick any 6 mistaken lyrics in their collection for your coasters, as well as a Custom set, for which you can write your own.